Mercury retrograde is yet to happen this 2019. Things are going to be a bit different as other planets are retrograding as well. This retrograde will bring forth tension, confusion, miscommunication, and chaos in all aspects of the word. 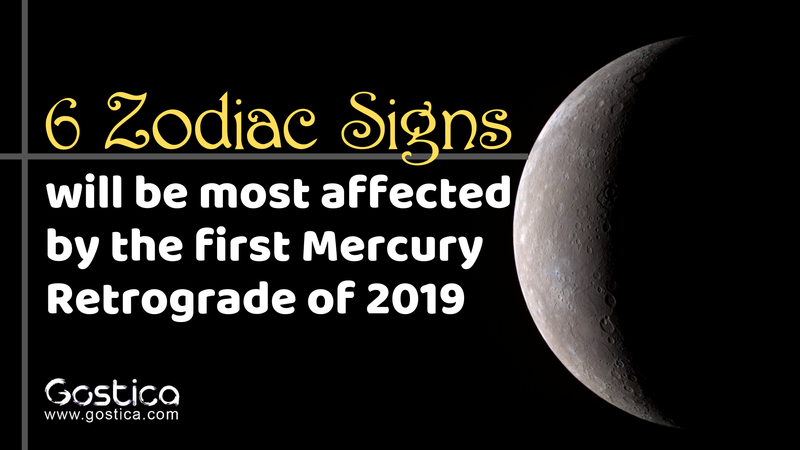 Mercury will be officially retrograde on March 5th and will be coming out of it on the 28th. If you have a feeling that something is about to happen, that could be the reason why! Below I am going to go over the six signs that will be most affected. These zodiac signs will be facing some positive and some negative things in the weeks to come. However, as long as they persevere and work to ensure they are being clear all will go well. You will be affected by this retrograde because Mercury is your ruling planet. While you normally communicate well and have the ability to talk to anyone, things will be opposite for a little while. You will be repeating yourself more and finding yourself a bit tongue-tied. As long as you do your best to be clear things will not turn out too badly, just relax. As a Cancer, you are already an emotional ball of insanity, but this retrograde is going to have you exploding on everyone. Anything you have been holding back will be making its way to the surface and jumping out at others. During this time it is important to remember that your words hold meaning, try to think things through before you speak. You are normally the light of the party but things are changing. In the times to come, you will be a bit of a back light instead. While it will feel good to get a break, by the end of this you will be more than ready to get back in front of the crowd. During this time you need to remember to relax, because trying too hard will only set you up for failure. You have to be willing to really take yourself out of the elements to get where you need to be. While the energies before you will be confusing, the tension welling up within you will be quite clear. This retrograde will not allow you to bottle your emotions. They will come out of you one way or another. Try dealing with them mindfully so that they do not explode. Really take the time to try and find yourself while you can. Chances are you will be feeling quite frustrated. It will be as if nothing can go right, but truthfully everything that goes wrong is going right in the mind of the universe itself. Just because you cannot see the bigger picture does not mean it is not there. Try to look at things from a different perspective.